In Northwest Coast cultures, Raven is an agent of change and transformation. 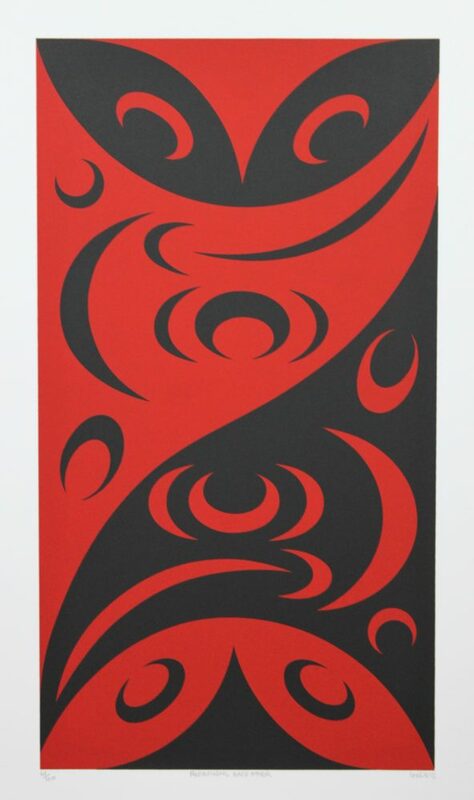 The ravens in this design symbolize contemporary Coast Salish artists redefining each other through influence and inspiration. As a contemporary Coast Salish artist, I believe in humbly acknowledging the influence and inspiration of my contemporaries, established and emerging. Unfortunately, in the politics of post-colonial disempowerment, some people are not always encouraging or supportive of each other. This design is a tribute to new Coast Salish artists who have inspiRED me, such as Dylan Thomas, Stuart Pagaduan, Angela Marston, Jason Gobin, and Thomas Cannell. 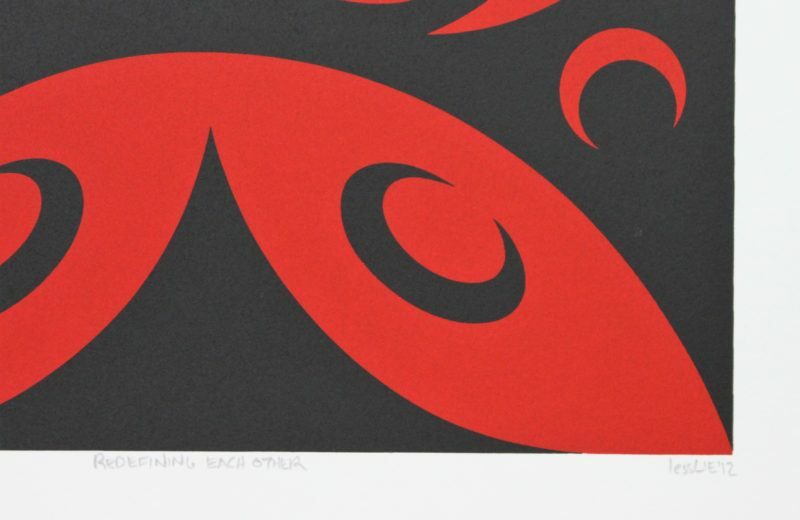 These young Coast Salish artists have inspiRED me since my print 'Defining Each Other'." This limited edition silkscreen print titled "Redefining Each Other" by lessLIE was hand produced by the screen printing process. It is the only limited edition printing of this design. The artist has inspected and signed each copy in the edition. All trial copies of this edition have been destroyed and the printing stencils obliterated.